To celebrate the inauguration of the new routes, Ryanair will offer flights for 19.99 euro. 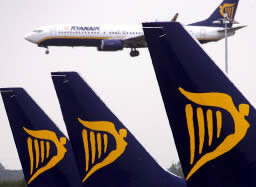 From Pisa with Ryanair you can connect to destinations right across the European mainland, the UK, Ireland and also the islands of Malta and Sardinia for example. And so suddenly, this tiny untouched corner of Romania is about to be discovered. But is Constanta worth discovering? Well, yes, we think it is. And as it is in Romania where Liam Bailey recently told the International Herald Tribune that there is still room for property price growth, he probably thinks it is too! There is a huge amount of room for growth there - Romania's Black Sea coast is fairly undiscovered and actually ripe for investment. The climate is as beautiful in the summer and as temperate in the winter, and Constanta is a major port and resort on the coast making it a perfect base for exploring all the fantastic beaches, landmarks, museums and natural attractions in the vicinity. As for current property prices, well they're not dirt cheap because Constanta is already very popular with Romanians as a holiday hotspot, but prices are not exactly expensive either. You'll pay from EUR 48,000 for a one-bedroom apartment for example, and you can buy beach-side villas with five bedrooms, four bathrooms and extensive gardens for about EUR 393,000 currently. Land is for sale in abundance in the vicinity of the city - which may be of interest to developers who like the thought that the city is to get its own cheap flight access from April... or for those who want to start earning straight away, there are hotels for sale which could of course accommodate European and British holidaymakers from this summer onwards. If you're looking for property in Romania for an investment, a second home abroad or a home from home in the sun and you're willing to take a risk, be in it at least for the medium term and buy into a still emerging market, give Constanta a closer look - it'll be even easier to do so from April after all!